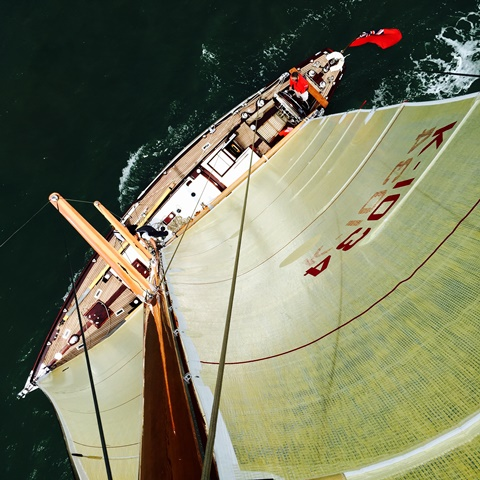 Cetewayo was built to be raced, and what is most extraordinary about her is that she is still being raced, and often winning, over 60 years after she was built. This is entirely down to the burning passion of her owner of the last 19 years, David Murrin, who took a clapped out wreck, embroiled in legal dispute, and restored her in a thoughtful and intelligent fashion with winning races, in luxuary, firmly in mind. 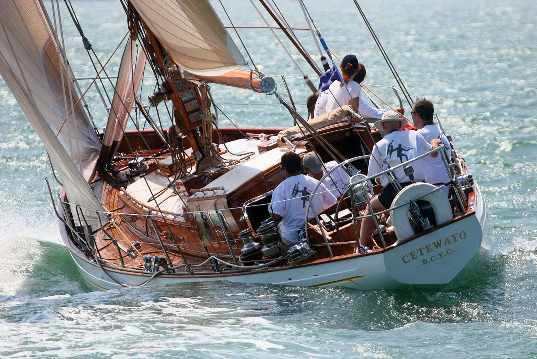 Cetewayo has her own website in which everything you could possibly wish to know about this magnificent boat is detailed. The HBA's interest in Cetewayo stems from the fact that David inherited Minion, a Harrison Butler designed Cyclone II design, from his father, Denis, who was HBA Chairman in the early 1990s.